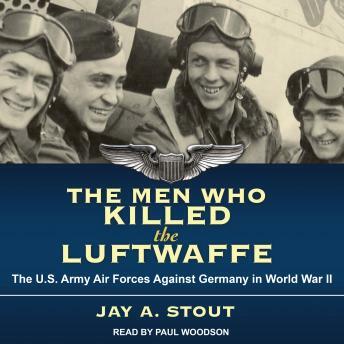 In this dramatic story of World War II, Jay A. Stout describes how the U.S. built an air force of 2.3 million men after starting with 45,000 and defeated the world's best air force. In order to defeat Germany in World War II, the Allies needed to destroy the Third Reich's industry and invade its territory, but before they could effectively do either, they had to defeat the Luftwaffe, whose state-of-the-art aircraft and experienced pilots protected German industry and would batter any attempted invasion. This difficult task fell largely to the U.S., which, at the outset, lacked the necessary men, materiel, and training. Over the ensuing years, thanks to visionary leadership and diligent effort, the U.S. Army Air Force developed strategies and tactics and assembled a well-trained force that convincingly defeated the Luftwaffe.